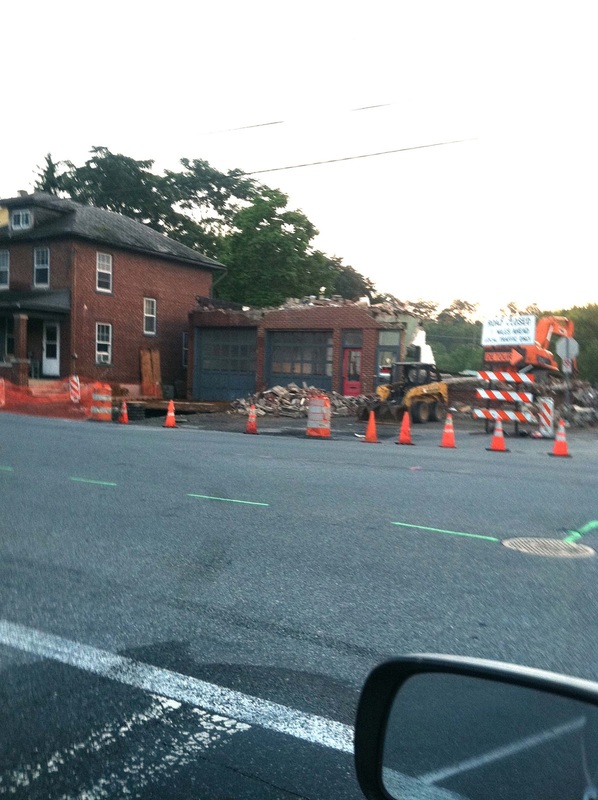 Demolition of a former service station at College Avenue and Market Street began this week and should be completed by the end of the week. The work is part of the extension of West College Avenue, which includes the construction of a bridge, that will elminate the dog leg maneuvering for motorists using Bainbridge Street to head past the Dove Chocolate factory. On Elizabethtown's Facebook page, the borough indicated the project is continuing with the construction of a retaining wall, relocation of sanitary sewer lines, stabilization of the culvert running under the building and footing for a pier. If all goes well, traffic could be using the bridge late this fall. Final paving is likely to occur next year. It is a good idea as an approach. This justifies the construction of the new station or serves as a model.